Designed to be the faceted crown jewel to play on Boca do Lobo’s reputation as furniture jewellers and justify the title, this opulent object of desire features three highly sculptured doors leading to a gold leaf interior with shelving and two drawers. Inspired by Gothic furniture of the Romantic period with its ability to harness the power of the imagination to envision and escape, and its strong style with presence and strength. 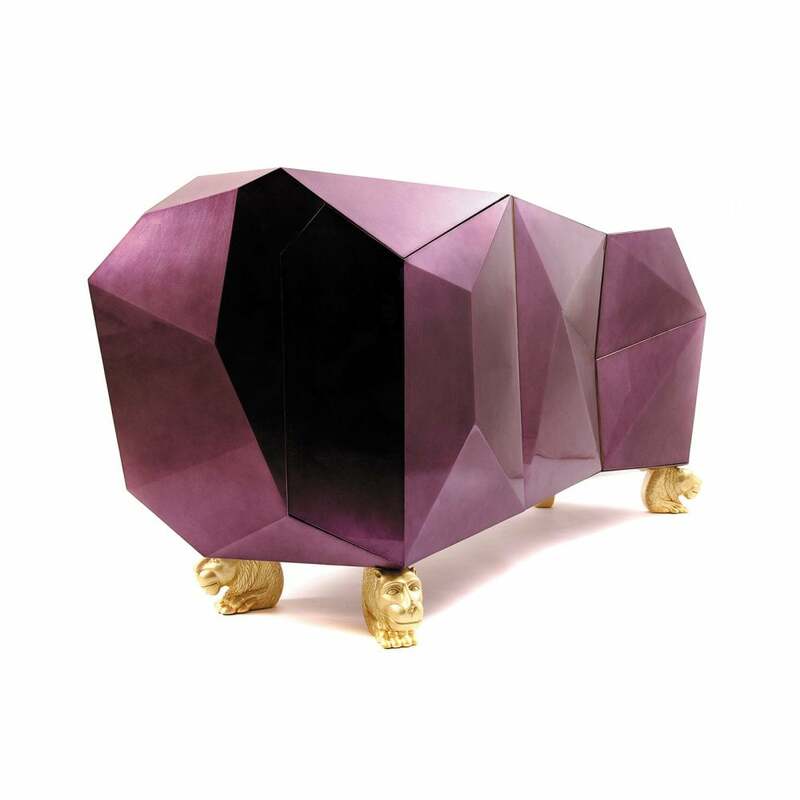 The exterior of this fanciful piece is covered in silver leaf finished with a luxurious shade of translucent amethyst high gloss varnish. The whimsical lion’s head feet are intricately hand carved from mahogany and completed with a gold leaf.